Click here to find out how to help your rising college freshman find the right school for him or her. Remember when we said this? 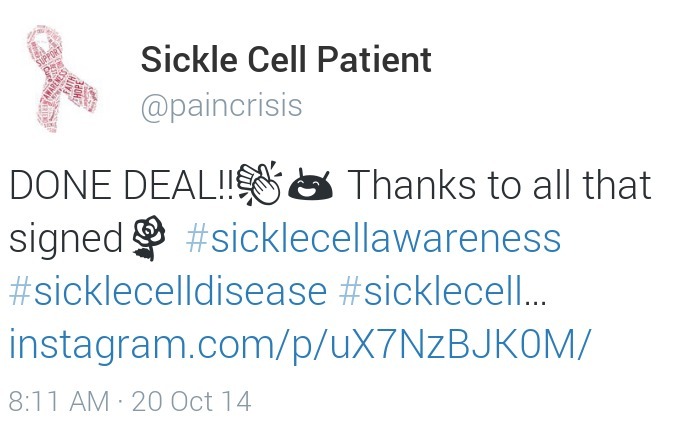 Well, in the past few weeks, the sickle-cell community has really stepped up! How? 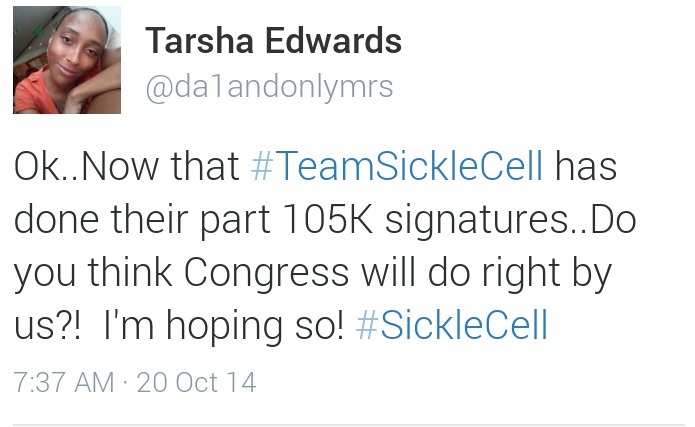 We've SURPASSED the goal number of signatures (100,000) for the petition to The White House to make sickle-cell disease a national health priority. At the time of this post's publication the number stood at 109,478. It doesn't have to stop there -- keep signing! The petition is still active until October 22, 2014. 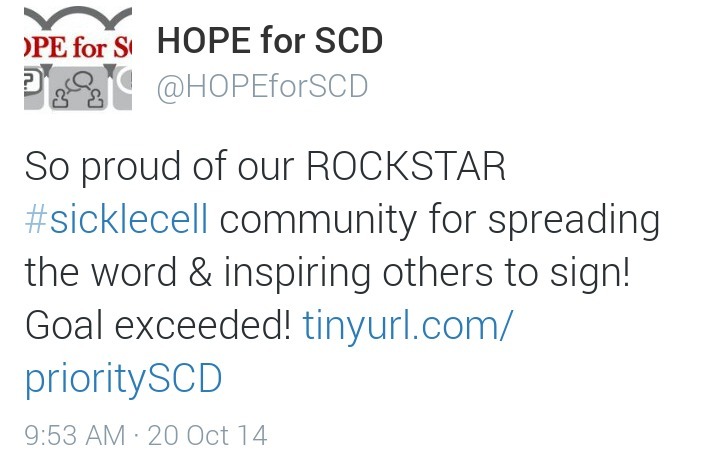 When you live with SCD, the fall and winter months bring more to mind than pumpkin spice lattes and Turkey Trots. You have to think about the increased risk of crises due to the change in weather. According to a study led by the Virginia Commonwealth University School of Medicine in 2010, "the debilitating pain experienced by people with sickle-cell disease becomes more intense when temperatures drop in the fall and winter months," reports VCU News. Why is this? When your body becomes cold, your muscles tend to use more oxygen in order to try and keep your body warm. As a result, this lessens the amount of oxygen in your red blood cells. Cold temperatures also cause blood flow to slow down, which can cause sickled cells to get stuck, back up the flow, and prompt pain. 1) Layer up. Obviously, everyone should dress warmly when it's cold outside; however, this is especially important for people with sickle cell. 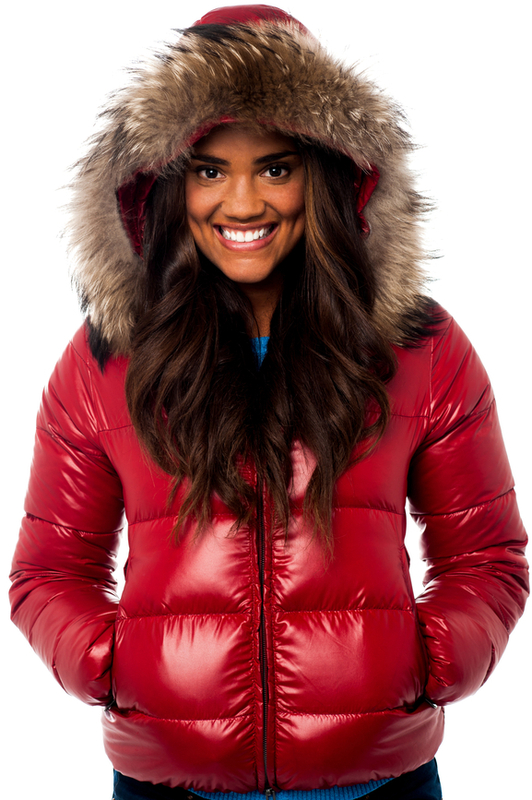 As a crisis can be sparked with extreme cold or extreme heat, dressing warmly by layering your clothing is your best bet. This way, you'll help your body stay warm, which helps keep your blood flowing normally, and, if you start to get too hot while inside, you can simply remove the very top layers. 2) Stay hydrated. Yes, it's possible to become dehydrated in the fall and winter, as well, and dehydration can cause cells to sickle. Even if you don't feel thirsty, you still need to make sure you're taking in plenty of fluids -- water, hot chocolate, tea, juices, soups, etc. Even eating fruits, such as apples, cranberries,blueberries, plums, and bananas -- which are high in water content -- can help keep you hydrated. 3) Avoid being outside for long periods of time. You can still enjoy the crisp, autumn air or play in the snow for a few minutes, but be sure to dress appropriately when in the outdoors and not subject yourself to any extreme cold. When planning winter vacations, choose a place with a warmer climate or a place that has access to indoor heating, if the weather outside is a bit frigid. This way, the entire family can still enjoy all four seasons -- safely. How do you prevent a crisis from occurring during the fall and winter? Tell us in the comments below! A couple of weeks ago, a new show called The Red Band Society premiered on Fox. Following the lives of a group of teenagers who reside in a hospital, this show inspired this week's blog post: How to prepare for your SCD child's hospital stay. 1) Cell phone and charger. Your cell phone can, of course, have multiple uses: a phone (naturally) and a source of entertainment, such as music. Be sure to throw some headphones in the bag, as well, so that you and your child can listen to music without disturbing anyone else who may be staying in the room. 2) Laptop. If you or your child has any work that needs to be done, this will definitely come in handy. You can also use your laptop to jot down any questions you may have for the doctor and to keep you and your child occupied (think Netflix). 3) Toiletries. You may be staying for a few days, so be sure to bring all essentials, such as toothbrushes and toothpaste, contact lenses and cleansing solution, deodorant, facial cleanser, hair supplies, regular prescription medications, etc. 4) Changes of clothes. And underwear. 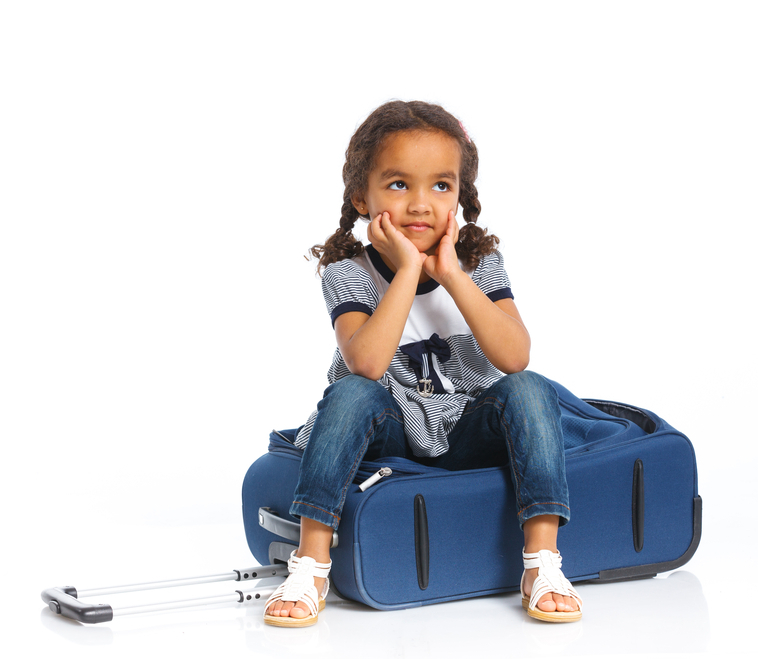 Plan to pack at least three days worth, and then, if your stay ends up lasting a little longer, you can always run home and pick up extras. 5) Fun Stuff. You may get sick of only watching Netflix and the hospital TV, so make sure you pack other entertainment options, such as board games, card games, books, and toys. Speaking of toys, it's also a good idea to pack a few of your child's favorite stuffed animals for bedtime. A stash of your favorite snacks and a few water bottles are also suggested. Don't be caught off guard -- fill your go-bag with these items, keep it in your car, and you'll be ready for whatever comes your way! Do you have a go-bag ready? What did you pack in yours? Tell us in the comments below!